Full disclosure: Bakery on Main provided the products featured in this review to me free of charge. However, the opinions expressed on these products are strictly my own. Bakery on Main is known as a great company. For one thing, it’s a small company that focuses on using natural ingredients. For another, its founder, Michael Smulders, set out to make gluten-free food that tasted really good after hearing so many gluten-free folks complain about the opposite being true of most gluten-free products. Getting Bakery on Main going was no small task; it took 2 years before he got his facility, ingredient suppliers, etc., in place. 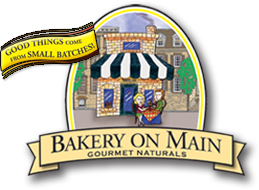 Bakery on Main products are made in a dedicated gluten-free facility with gluten-free ingredients, and are certified gluten free by the by GIG’s Gluten-Free Certification Organization—that means their products contain less than 10 parts per million (ppm) gluten. Here’s a brief statement from Bakery on Main on its history and focus. “It all started in the small bakery of a natural foods market on Main Street in Glastonbury, Connecticut. Founder Michael Smulders listened to his Celiac customers complain about the taste of many of the gluten free options available to them. He thought that no one should have to suffer because of a food allergy or other special dietary need, and made it his mission to create products that were good for them but taste like they aren’t. The truth is that I’ve had a little sweet spot in my heart for Bakery on Main since last year. Right before Thanksgiving, one of my support group members forwarded their Thanksgiving email newsletter to me because Bakery on Main had linked to my Crustless Pumpkin Pie. That was quite the pleasant surprise because I didn’t even know about Bakery on Main at that point. Later, Bakery on Main folks contacted me and sent their products for my review (shown above) and for my support group to sample, as well as product coupons for our members. In the granola department, we sampled Extreme Fruit and Nut Granola, Nutty Cranberry Maple Granola, Apple Raisin Walnut Granola, and Fiber Power Granola. (There’s a Rainforest Granola that I did not get to try. It contains dried bananas, roasted Brazil nuts, and coconut.) For granola bars, there were Peanut Butter Chocolate Chip, Cranberry Maple Nut, and Extreme Trail Mix. 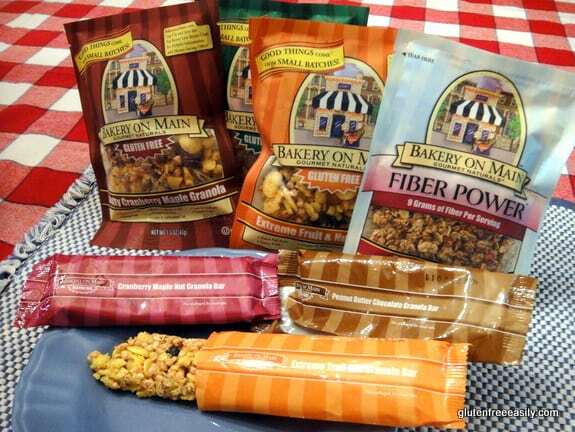 More recently, Bakery on Main has been adding to its granola bar line with three flavors of Soft and Chewy granola bars: Chocolate Almond, Peanut Butter and Jelly, and Apple Cinnamon. The folks from Bakery on Main have been generous in sharing their products and very pleasant in our interactions. So all that said, I really wanted to love Bakery on Main’s products. I should also tell you that I don’t consider myself an in-depth product reviewer. I’m much more about eating and cooking with real food. It’s very infrequent for me to sample gluten-free specialty products because they play a very small part in my gfe approach and when I do review them my main focus is simply whether I like the products myself. I don’t go into detailed descriptions and comparisons, etc. All of us are looking for different things in products. For granola and granola bars, personally, I want something with heft and crunch. Fiber and nutrition often come with those characteristics, but I won’t get into those factors much in this review. Also, in granola, I specifically like the chunky clusters that form when oats, nuts, and seeds bind with the sweeteners used. Taste testing Bakery on Main’s granola and granola bars was interesting. I found that one flavor would be very pronounced at first bite and then the taste would subside as I ate more of the product. Sometimes a product would start out tasting too artificial in its flavoring, but then taste okay after a few bites. The experience was rather strange actually. I really didn’t find that any of the flavors stood out on their own. The granola flavors were all so similar that they were sort of indistinguishable to me. How could Apple Raisin Walnut Granola taste like Nutty Cranberry Maple Granola? I suppose daily consumers and fans of Bakery on Main would say that they don’t, but there was not enough of the named flavors/ingredients to distinguish them for my tastes. Tasting the original granola bars played out the same way. Peanut Butter Chocolate Chip, Cranberry Maple Nut, and Extreme Trail Mix should have been very distinctive, but were still pretty non-descript to me. The Peanut Butter Chocolate Chip was my favorite of the group, but even the peanut butter flavor in it was very mild. That could be a good thing for some. If you normally dislike peanut butter, you’d probably still like this granola bar. However, I like a product to really taste like what its called, what it’s supposed to taste like. The texture of all these products is just not substantial enough for my liking. Like I said, I wanted that heft and crunch in both the granola and original granola bars and it just wasn’t there. Likewise, the granola really didn’t have what I’d call chunky clusters. Bakery on Main’s new granola bars are billed as soft and chewy. They lived up to their label of Soft and Chewy and are quite pleasant in their texture. What about taste? Well, I sampled Chocolate Almond flavor first. I found it to be very enjoyable overall as an after-work snack. Another time I tried the Apple Cinnamon bar. The first bite yielded a fake type apple flavoring in my opinion, but the bar tasted more natural as I finished it. Again, strange. I saved the Peanut Butter and Jelly one for Son. (When Linda shared her Thumbprint Cookies recently, she talked about her husband’s feelings on jelly, and I’m pretty much the same way, so I was happy to pass that one on.) Son liked it and would have eaten more if I’d had any left to share with him. So, in conclusion, while I don’t dislike Bakery on Main’s products, I didn’t really like most of them—meaning I wouldn’t buy them for myself. I’ll keep making my own granola on occasion. But, please don’t take just my word on these products. My support group members love Bakery on Main products. I divvied up the sample leftovers and sent several members home with “carryout” containers; they were all very happy. And, like I said earlier, Bakery on Main sent coupons for all of my members, too. Again, my folks were pleased to get them as they enjoy the Bakery on Main products. I urge you to do your own research and decide. Note that the Soft and Chewy bars contain no GMOs, no dairy, and no trans fat. They are made with certified gluten-free oats, amaranth, quinoa, flax seeds, and chia seeds. FYI: To introduce its new line of granola bars, Bakery on Main is offering free shipping on your entire order if you order any of their Soft and Chewy Granola bars. (It’s my understanding that the Soft and Chewy aren’t yet available in stores or from other online sources.) Bakery on Main also uses ingredients like unsulphured/freeze-dried fruits, brown rice syrup, evaporated cane juice, canola oil and sea salt. 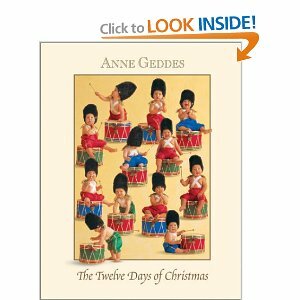 While I’m catching up with my posts, you can catch up on my 25 Days of Christmas posts via the links below. Check out my review of Kelly Brozyna’s new cookbook, The Spunky Coconut Grain-Free Baked Goods & Desserts, and enter the giveaway. It ends tomorrow, so get your name in the hat! I had the same experience as you did Shirley, and for that reason, didn’t bother tasting the bars. The Fiber Power granolas were very dry I thought, and all lacked in flavor. As you said, I couldn’t really tell one from another – just faintly. I think it seems like a great company, and would love to support them, but they do need to amp up the add-ins and flavor a bit! Just my opinion though, sounds like they have a loyal following. Hi Alisa–Thanks so much for validating my review. One begins to doubt oneself, you know? I think just by adding more add-ins and adding some more crunchy clusters, they could probably satisfy both of us. But, yes, they are a well-respected company and many love their products. I did a (very brief) review of Bakery on Main a while back, and I felt about the same way about the granols. Didn’t dislike, but wasn’t a huge fan. I did like the granola bars a lot more, but since they have nuts in them, I won’t be eating them again. Hey Iris!–I need to go find your review and link to it here. I like giving folks several perspectives. It’s rather reassuring to know that I’m not alone … thank you. Are the folks who really like these products anti-traditional granola I wonder? I know at least one person said that she didn’t like the overly crunchiness and chewiness of traditional granola, but liked Bakery on Main’s products. My problem is… I am gluten and sugar free. Do you know how hard it is to find somthing I can buy that is made with stevia or xylitol? Hi Terry–Yes, if you are looking for stevia or xylitol specifically and even most other refined sugar free options, it can be tough. But, since I rarely use any of the processed products anyway, it’s not a big deal to me. I’d much rather eat an apple with some nuts or perhaps some almond butter, or even leftover dinners for my breakfast. While I would have recommended the Bakery on Main products if I’d really liked them, it woud have still been unlikely that I would have bought them … perhaps on occasion if on travel. It’s so easy to make one’s own meals, treats, etc. I’m assuming you’ve already found Ricki’s (Diet, Dessert, and Dogs) blog. It’s a great resource for those who are on an anti-candida diet. Thanks for the kind words on the post! Thank you Shirley for taking the time to write such a detailed and honest review. We truly do appreciate and take into consideration any and all feedback we get, so I will make sure your thoughtful feedback and that of your readers gets directly to Michael Smulders himself. 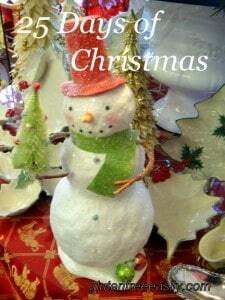 Hi Sara–Thanks so much for taking the time to comment and your gracious response! I’m very happy that Bakery on Main welcomes feedback to improve its products. 🙂 I also appreciate you pointing out your GFCO certification; that is huge to me and many others. I went back and found that info on your FAQs page and I’ve updated my post accordingly. I do think that Bakery on Main should have this info “front and center” though … on your main page and several others spots, because what I honed in on was your statement on “in-house gluten testing” in your brief history here, which I included in my post. In-house testing certainly can and should be done by companies who offer gluten-free products, but I do think the wording on your site may be confusing to the reader/prospective buyer. I am a huge fan of Bakery on Main Granola. So much so in fact, that Giant Food which I have patronized since I left my parents’ home in 1971 is now going to lose me as a customer because they have stopped carrying this, my most favorite breakfast cereal. I think it’s even better than my mother’s own homemade granola and that’s really saying a great deal. It gets my day rolling in the morning and I can’t do without it. That, my dears, is how strongly I feel about it! Wegman’s here I come (as long as you keep stocking it)! Giant’s loss – your gain! Hi Hallie–Welcome to gfe! 🙂 Thanks for providing your enthusiastic review of BOM granola, too. I know it has some very loyal fans, and you’ve certainly shared your devotion to BOM. I appreciate you taking the time to join in on the conversation!